I love summer in Seattle. The weather is wonderful and there are so many events going on that it's almost too hard to keep up with! I haven't been able to go to many of the events yet but was able to this past weekend. The Seattle Uwajimaya store held their Natsu Matsuri, Japanese summer festival which consisted of Japanese street foods, drinks, performances and I went on both days. Sorry, but I had to share! If you're like me and a huge Bioshock fan, you may want to check this out. Bioshock Infinite is coming out with a DLC (downloadable content) that takes place in Rapture (an underwater city featured in the first two Bioshock games) a year prior to the events in the first Bioshock game. I've been looking for a nice yellow colored nail polish and happened to stumble on this one when I purchased my other Sally Hansen Xtreme Wear polishes. This is the color Mellow Yellow which is a nice muted (mellow hence the name) yellow. Every now and then, I get a craving for Mexican food, but less of the typical tacos and burritos type. 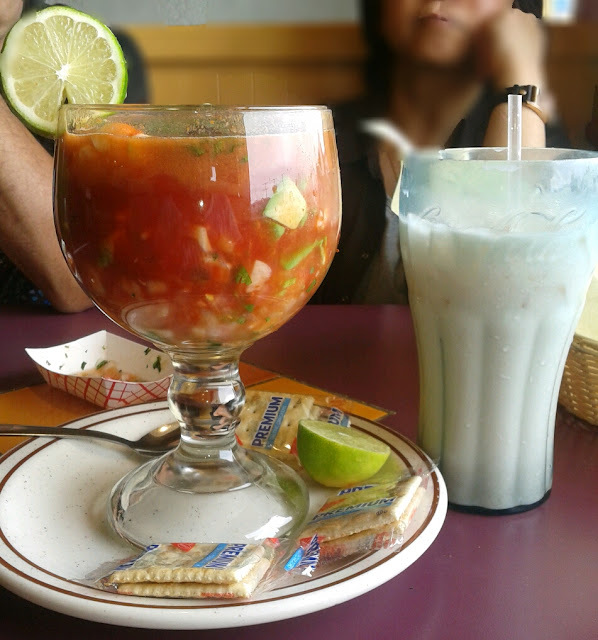 This past weekend, I went to a local restaurant with m parents and had a very pleasant experience at the Taqueria La Rancherita in Renton, WA. 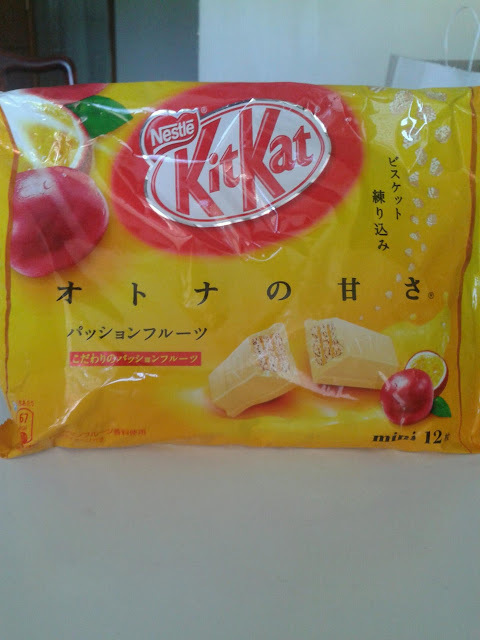 I was so excited to be able to pick up this Passion Fruit flavored Japanese Kit Kat! It retailed for $5.99 and as most of these bagged Kit Kats goes, they come with 12 mini pieces inside. 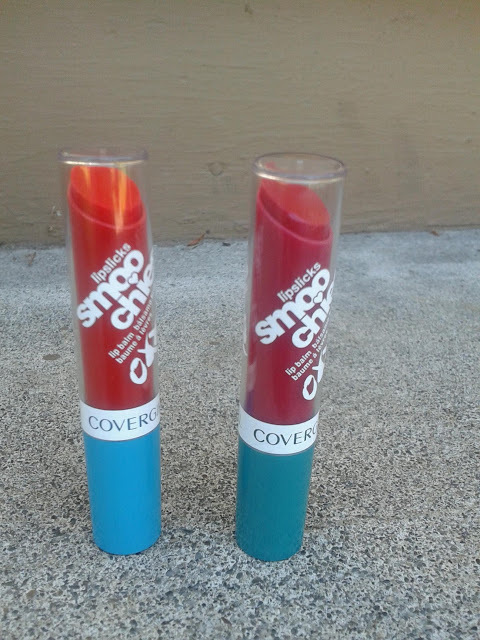 Last week, I saw a coupon in the paper for $4 off 2 of these Covergirl lipslicks Smoochies lip balms. I had no interest in buying these at all when they first came out, but since I saw the coupon, I thought I could justify them. I got them at Target and they retailed for $4.95 each and since I had the coupon, I basically paid 2 for the price of 1. Nordstrom's Anniversary sale officially started yesterday and I was able to go and check out some things! I'm wearing a couple pieces from the pre-sale, but of course I had to go back to get some more goodies (haul later perhaps). 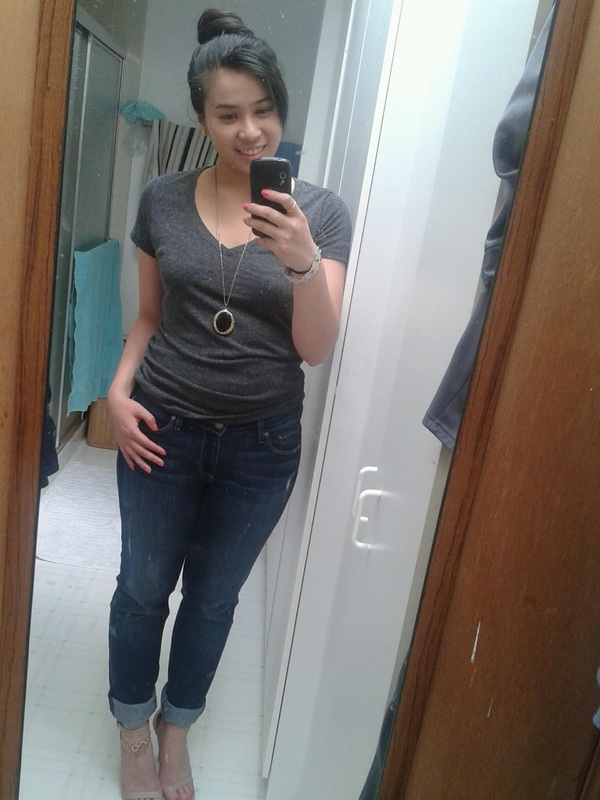 I like being comfortable when I shop, especially if I know i'm going to be changing in and out of clothing. These pictures do not do this nail color justice. This Sally Hansen's Xtreme wear color in Coral Reef is definitely more of a bright neon coral and is one of those colors that makes you look tanner. 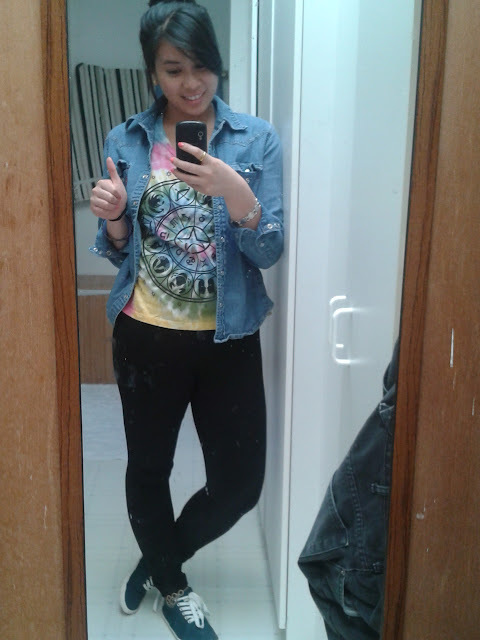 I felt like channeling my inner child busting out the tie dye and denim shirts. It was a casual night where I went to watch Pacific Rim (WHICH I HIGHLY RECOMMEND). It wasn't as hot out as it has been so I wanted to throw over a light denim shirt for being in the theatre. 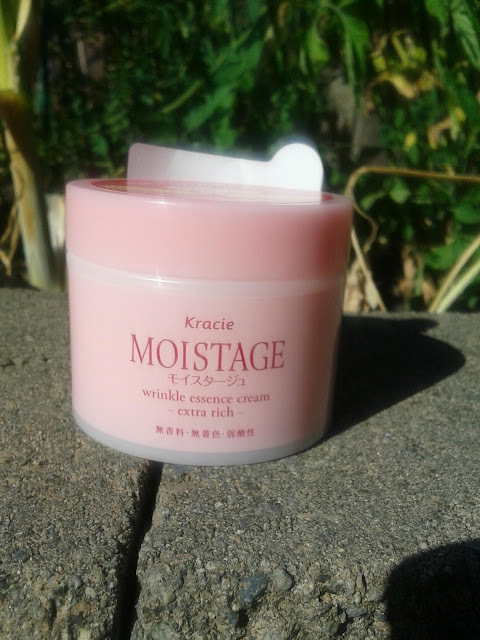 I love using Asian (mostly Japanese and Korean) facial products and I especially like this Kracie brand. Kracie is a popular Japanese brand that not only produce cosmetology and toiletry items, but as well as candy kits and other food items. I especially love their Triple Essence Cream but figured I try a different one this time around so I picked up the Wrinkle Essence Cream-extra rich- kind at my local Asian beauty store for around $12. The color I will be reviewing is new I believe from Sally Hansen's Xtremewear line in the color Kiwi Bikini. I found it at my local Target and it was on sale for $2.54. I have been on the hunt for a more mature fragrance and for me that was staying away from fruity tropical victoria secret-esque sprays to the sweet sugary cotton candy feel of Pink Sugar (even though most scents, when sprayed on my body, become warmer and more sensual). 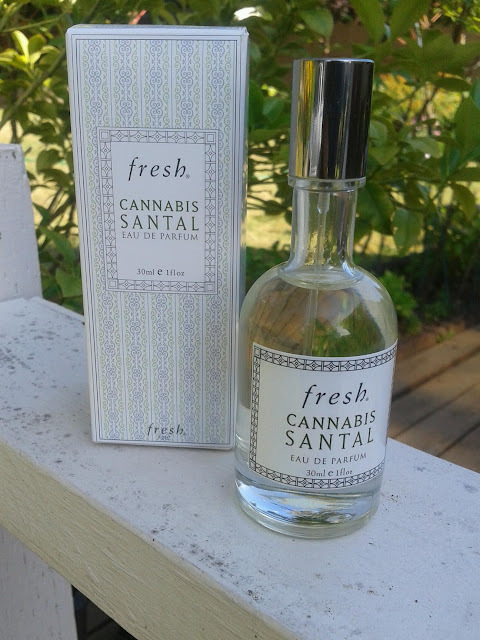 After reading several reviews and going to Sephora myself to smell and test out, more than a few times, I finanlly caved and bought the Fresh Cannabis Santal eau de parfum. So far, this summer in Seattle has started off with a HOT start (Hot compared to the rain we always get here), so I thought it would be appropriate to capture that feeling in bright colors! 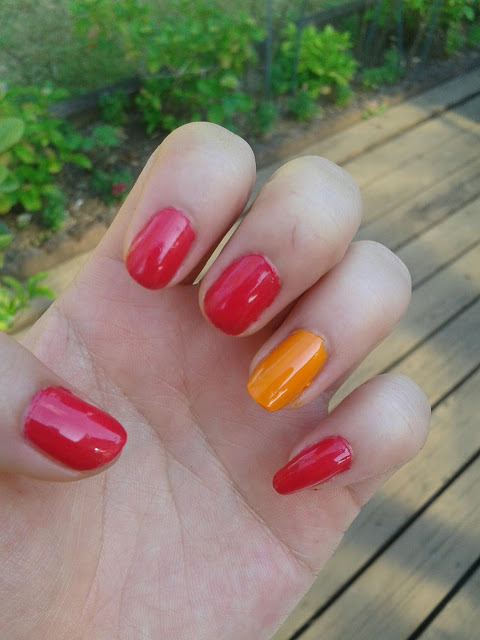 I chose a hot reddish pink and an orange since it reminds me of those hot, fiery sunsets. I ran across this Silky Underwear Dusting Powder on my last visit to LUSH and knew I had to try it, especially with the weather getting hotter. I used to love using baby powder when I was younger after showers in the summer so I wouldn't get all hot and sticky with the heat, but I kind of got tired of that typical "baby powder" smell. Today's quick post is on Tea's Tea Black Tea Latte. As I may have mentioned earlier, many people have been trying to find or import the oh so famous Japanese Milke Teas (royal milk tea, gogo no kocha w/ milk) but it is almost impossible to find the Japanese made teas in the states. 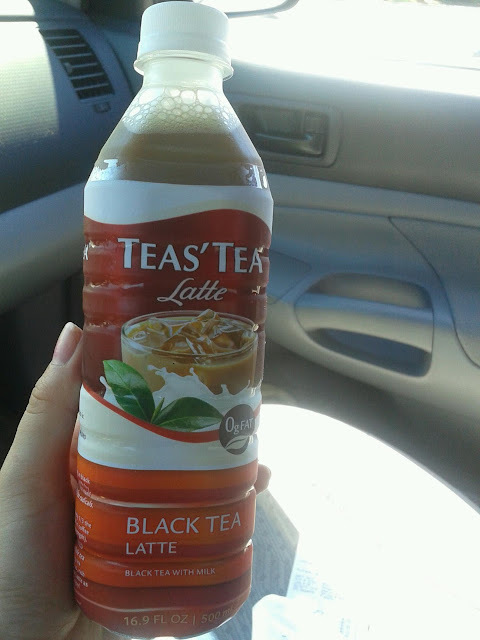 So when tea's tea made their version of a milk tea (but naming it a black tea latte), I had to try it out. 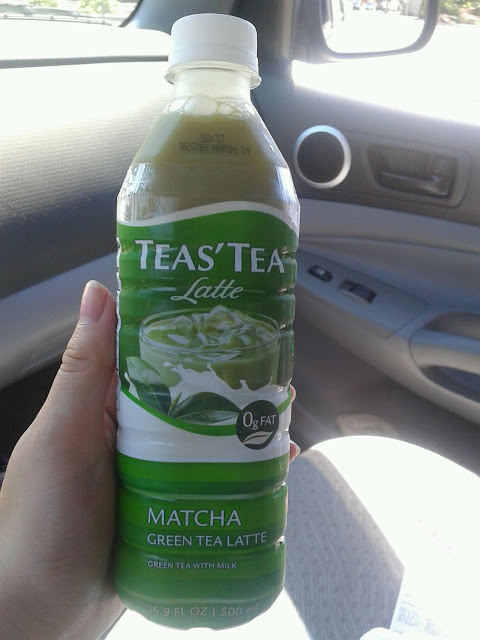 Unlike the Matcha latte that wasn't that good in my opinion, this one was very good! It surprised me how much I liked it because I thought it would be lacking in the flavor department. The tea flavor was strong enough to taste the flavors, but not overpowering. They used skim milk powder to add to the milky/creamy consistency and it wasn't too sweet. I wished it was a little bit creamier, but I think only skim milk powder would work to give the product a longer shelf life. Overall, I HIGHLY recommend this product, especially if you are missing/craving for the Japanese royal milk tea flavors. Happy 4th of July / July 4th to everyone in the U.S.
As typical of this day, the colors of red, white, and blue are in the fore front along with celebration with BBQ's and picnics. I thought'd id share this little outfit I put together that was appropriate for this day, encompassing red, white, and blue. 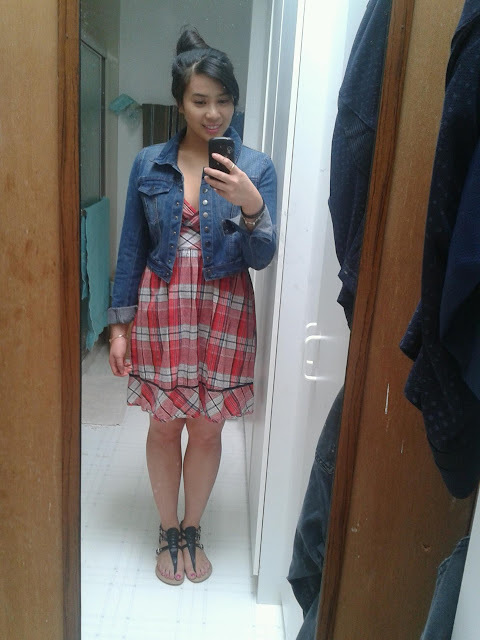 The dress I had from almost 5 years ago, but I still love it. I bought it at Nordstrom's BP and love the country vibe it gives off--also it reminds me of a picnic blanket/cloth. Many people are trying to get their hands on any type of milk latte/milk teas from Japan, since it is really hard to import any of the milk products from Japan. So, many brands are trying to find another way to give people what they want. This product is made in Thailand (why milk products from Thailand are allowed and not Japan, I really don't know). I have to honestly say, this wasn't as good as I thought it could be. The green tea flavor was a little lacking. It seemed a little too watered down. It was smooth and not too sweet, but there just wasn't enough of a green tea/matcha flavor. I spent less than $2 on it which isn't bad considering most Japanese milk tea/latte drinks could cost over $3 easily. I will try the regular milk tea one (black tea latte) later and will see how that one is. Overall, If you're interested in trying this sort of product, then by all means go for it. 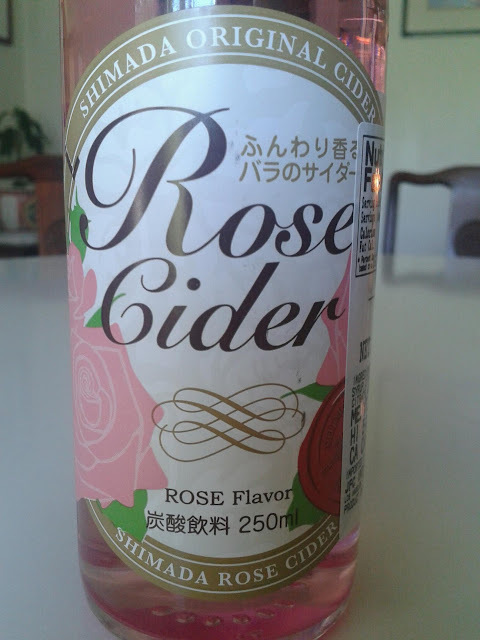 Another Shimada Original Cider that I picked up and wanted to try was this rose flavored one. The color and label really caught my attention since it is so feminine. 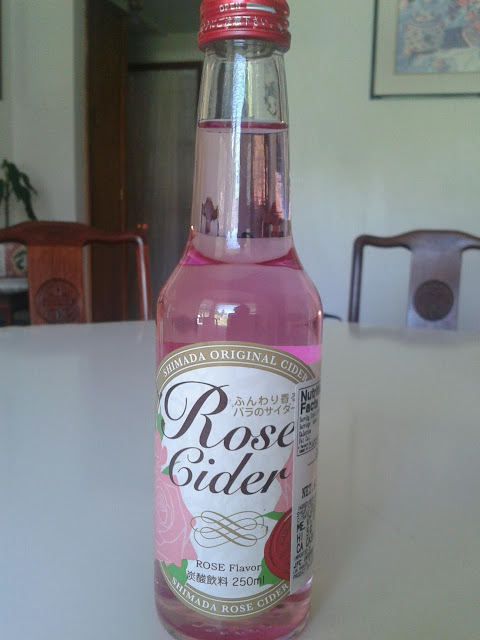 I love most rose flavored items (drinks, teas, rose scents, etc) so I thought I would try this one out. It had a very mild rose flavor that wasn't too over powering like some other rose drinks i've had (they end up being to perfume-like). It was slightly carbonated and not to sweet. Definitely a drink I would recommend trying out to anyone who can find it! 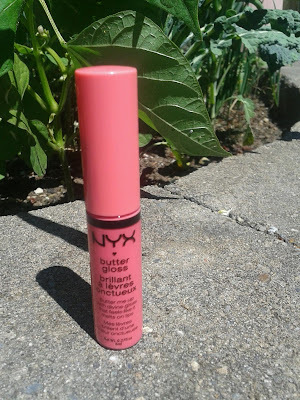 I've always wanted to try the NYX's butter gloss so when Ulta had their buy one get one on the NYX cosmetics I decided to pick this one up and another gloss.